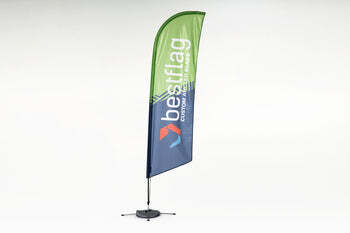 Our premium feather flags are our (no pun intended) flagship product. 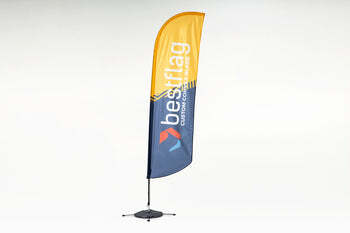 With premium feather flags, you're able to tell you brand's story your way. Completely customizable and durable, our premium feather flags don't need the wind to stay open and will help you flag down curious customers with ease. Choose your product, then select "Design Now" under the art option to make your own flag.